Have you read the “ReGifting: have you ever” article? It was fun, right? But if you are someone who takes the time to go shopping with nothing but the kindness of your heart and becomes sad when the present you bought and gave gets passed on to another person, the article wasn’t exactly fun but scary! And eye-opener if you didn’t know that happened. So much so, we feel a little bad to have given you - just like Morpheus in the “Matrix” movie - the “red pill”; the pill that gives you access to knowledge and, with it, uncertainty. One of the cliché when mocking Millennials is saying they love Starbucks and coffee too much. And there’s a bit of truth there. So, you know what’s a great gift for a millennial that we ensure won’t be regifted? A coffee stencil, so they can have their coffee with cute creamy instagram-ready drawings just like in any coffee shop. 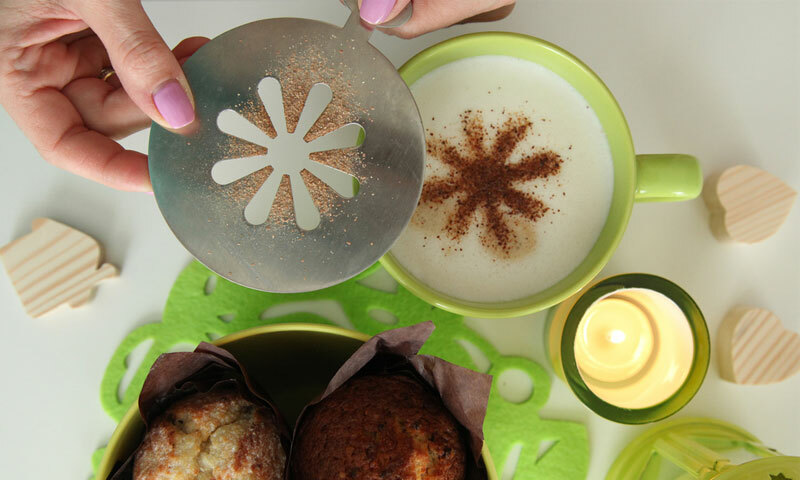 Coffee stencils are basically little cards perforated in a way that, when you sprinkle cinnamon or brown sugar on it, it will form a drawing on your coffee. It’s a really neat and not expensive gift any Millennial would find really nice and useful – if not for them, but to surprise friends at their home and serve some coffee, since they don’t have money to serve any drink more expensive. Thanks a lot, Baby Boomers! Truthfully, anything Coffee-related is a good idea here. If you want to give the Millennial something more expensive, a coffee maker might be a great idea. An iPad or an Apple watch is sure not be regifted too - if you’re feeling like spending money. But chances are, with that much of a financial weigh they’re carrying, it might be a little weird – or even a bit condescending – to receive a gift like that if you’re not too close to the millennial you’re gifting. Don’t give an apple watch to a younger co-worker. But give it to your granddaughter; why not? Unless she’s high in debt because of student loans, then, maybe, try giving her a hand on that, pay a large portion of her loan – there’s no physical way of regifting that. Or just tell her you took advantage of Cyber Monday; why not? You’re cool and tech savvy like that. We could say that, for men, a distinct Mont Blanc Pen is a kickass present that a Baby Boomer, male or female, would not pass on to someone else. Even if they don’t have a constant use for it, they will keep it on their table or in their drawer waiting for a special occasion that might never come. 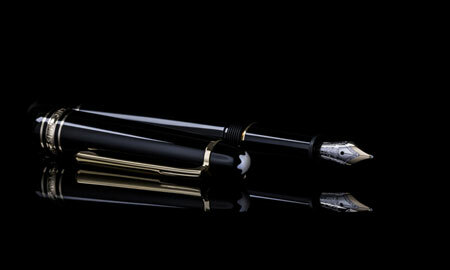 It’s a concept from their time, that – for good luck - important documents must be signed with nice pens. Never with a Sharpie. Focusing on males, a nice classic leather wallet, or a leather belt or even a tie. Don’t go crazy with it. The most classic and elegant, the better the chances of it not being regifted. Even if they have a similar one, Baby Boomers like to accumulate things for a winter that might never come. For female Baby Boomers, you can’t go wrong with a nice elegant purse. But also keep an eye on it. Now, one out-of-the-box idea that will be a hit and it’s hard to “regift” is awarding the baby boomer something that takes into consideration their age and tries to make it easier. Sometimes they don’t have the will to do stuff like clean the house or cook meals. And, hey – they’ve lived long, maybe we should clear some time for them to enjoy. How about gifting them with a one-year membership to one of those food delivery services like Blue Apron so they don’t have to go to the supermarket and get the items – they’re delivered to their door with all the correct portions ready to cook. If they’re not big on cooking, there are some services that deliver everything ready and all they need is to heat the plate. Also, a cleaning service is a good idea. Who wouldn't love the task of cleaning deleted from their duties? Do you have someone in your life that just graduated high school and went to college? Or maybe someone who graduated college and is moving out of his/her Student Accommodations to learn how to live all by themselves for the first time? Hard demographic, right? 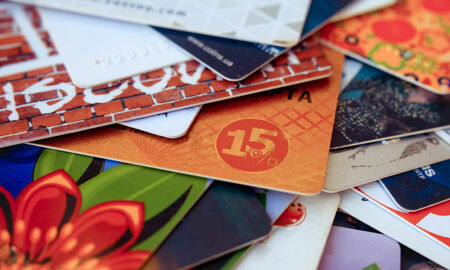 While a gift card might seem like something not very personal, it can be a great thing if you select the right gift card. Here’s the deal: recent graduates are still trying to figure out things, with too many things to do and not a lot of time. So the best gifts are the ones who are either traditional housewarming gifts and overall essential home items they would never think to get because they’re completely clueless on what is needed in a house and will only learn that once they need the item in question or the ones who will make their lives easier. So if you buy them a gas gift card, a food gift card, an uber gift card or even a multipurpose gift card (for a place like Amazon), we’ll guarantee the recent graduate will have a use for it and be merry with it. The food delivery membership and cleaning service membership we mentioned with the Baby Boomers might be – albeit for a different reason – also a good idea. Additionally, an alarm clock is also a good idea, because they no longer have mommy to wake them up and go to school/work! Hey, a kid doesn’t regift. Kids are pure; they don’t know that concept. So, what you should be on the lookout for is their parents. They are the ones regifting if you don’t pay attention to basically one thing: their age. If you give a child something they feel is inappropriate, they will cease it and trade/regift. A good idea is running any gift ideas by their parents but it’s not every time you can do that, so take that in consideration when you’re giving them a book or a video game/movie/music album. We’ll say this: chances of doing wrong when you give something they can be active with are smaller. Flying drones will definitely be a hit. There are price-accessible ones that don’t record movies, they just fly for the pilot to have fun. Look into those! Additionally, a baseball, a football, a basketball, a skateboard (but give the pads too so the parents can relax) are sure not to be regifted by boys or girls even if they never use it and leave it stored somewhere in the garage for whenever they might need it. And even better than being active with it: what about being creative with it? A musical instrument does have a chance of being regifted because the beginning of a kids learning to play an instrument can be very painful for the others in the household, but discuss with everyone how many benefits kids get from learning music and make them hang in there because once the kid masters an instrument, it can be lovely to have someone in the home playing live to you. This is that person, independently from being young or old, male or female, that has everything they need. But do they really? The trick for people that seemingly have it all is giving stuff to complement what he or she already has. It might make them happier if you give a nice collar to their dog than if you give something to them directly, you know? But say he doesn’t have one. He’s someone that has it all but on a personal level flies very lightly. Then, we believe, you’re left with two risky options: the first is going bold and giving something like a cat or a dog. There is the chance he’ll regift, yes. He might be allergic, he might hate animals… you have to figure that out. But there’s the chance that he’ll love it, and, since he has it all, he’ll have someone to take care of it if he’s not at home so much. He’ll appreciate the gesture. And the other option is going the other route and just accept the fact that he has it all and use it to your advantage while gifting: make fun of it and give him something very special like… an ugly Christmas sweater! 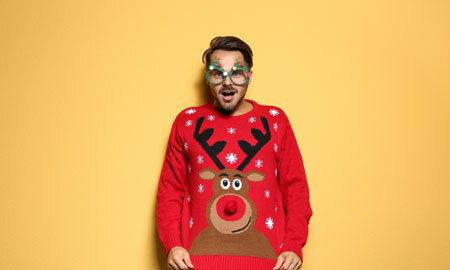 Yes, we are aware we’ve included ugly Christmas sweater as a gift that’s always regifted on our “ReGifting: Have you ever?” article. And that’s the geniality of it! No one ever gives an ugly Christmas sweater to someone that has it all! If you give it as a heartfelt joke, chances are the person will love the fun of it and keep it for themselves. Maybe even wear it next Christmas! 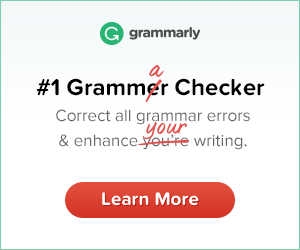 But remember, if they do regift even after you went through all these lengths with researching an article for the gifts that won’t be regifted… well, you know what you can give them? A middle finger! Just kidding. Give them the other cheek. It’s Christmas, guys! It’s all about peace and having fun. Don’t overthink it. Give them what you think they are worth and if they don’t see it, that’s on them and not on you. The real present is harvesting all the friendships we have. Happy Holidays! Are you tired of having to manually open your garage doors when parking your car? That's where automatic garage door openers come in! These utilize the latest technologies to make parking vehicles in your home much easier. Moving is not a very pleasing task. Actually, it is one of the very stressing tasks to do aside from packing. It requires great organizing, intensive planning, and heavy lifting. It can be hard to stay on top of routine cleaning tasks in the home, especially when your schedule is packed. The last thing you want to do at the end of a long day is come home and start on chores. There are ways to make much-needed chores quicker and easier. What Services a Funeral Company Can Offer You? Arranging a funeral for your loved ones is one of the most challenging things as people are not in a condition to maintain jobs. Thankfully, there are some funeral companies which give services at this difficult time and manage everything with ease. Empty nesters – that is; people with the empty nest syndrome – are parents who suddenly find themselves “abandoned” by their offspring who finally moved out of their house (and their everyday life) to fly solo and actively start their adulthood. Decorating a space is highly personal and the bedroom is no exception. Now tell me something do you love walking into a beautiful hotel room? Of course, anyone does! A place where everything has to be in the perfect proportion where a bed is meticulously made including lighting casts a soft glow on attractive and functional furniture. Today, there is a high number of retirement planning advice readily available online and in other media. But most of it isn’t geared towards high net worth individuals. Proper retirement planning is very crucial since it only takes one or two mistakes to go from financial independence to broken dreams. With the rate at which the act of burglaries, terrorism, and vandalism is increasing, nearly everybody should consider installing a security film on their windows. Windows are the most vulnerable area of a home. Most of the crimes committed, the access is usually gained through a window especially a first-floor window if it’s a business premise.